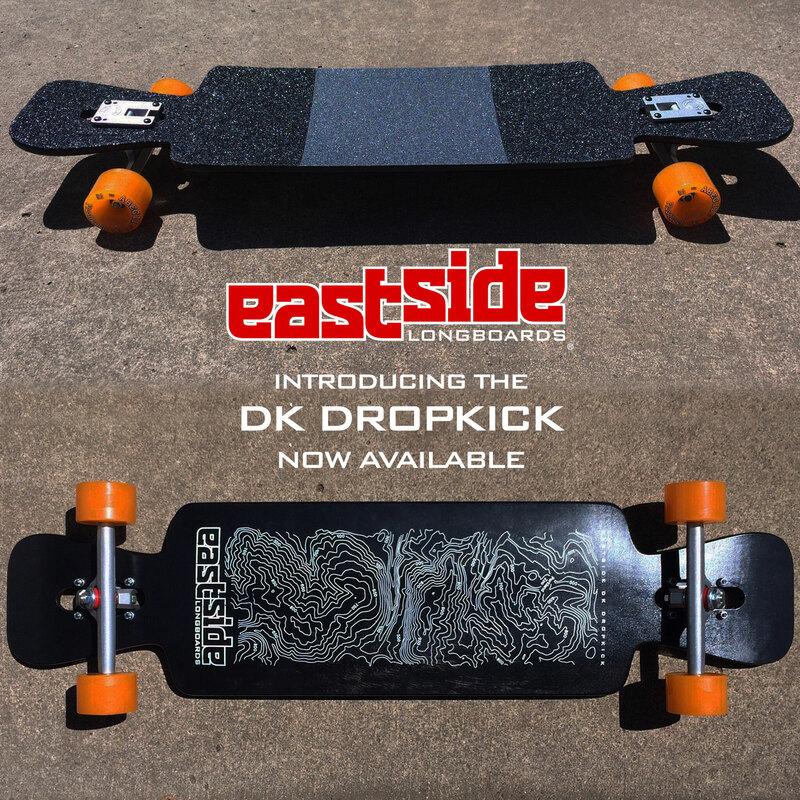 DK DropKick Deck only – No trucks and wheels. By popular request here is the DK DropKick. It is based off one of our oldest designs, the Carbon DropKick. 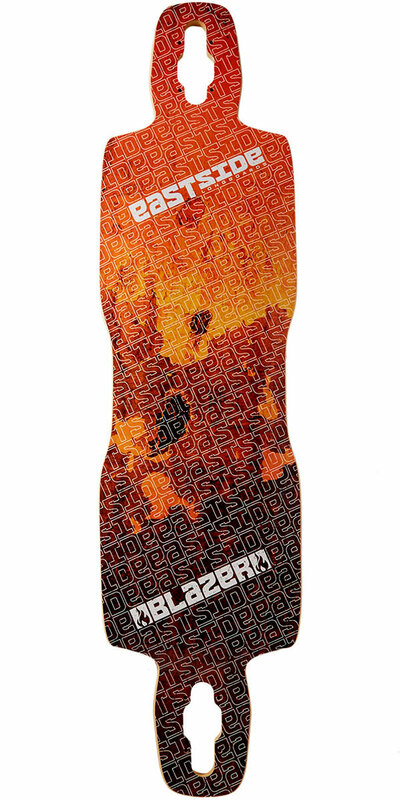 We went all out creating what our fan’s wanted; a freerider’s dream board with drop-through mounting and double kicks. The mold we designed for this board has a very comfortable concave featuring rocker, foot flairs, and mellow “W”. The kick-tails are shaped wide enough to actually use them in a functional and confident way to drop off curbs and lift up the wheels at speed. Double the pleasure with two kicks to leverage whatever tricks you can imagine! 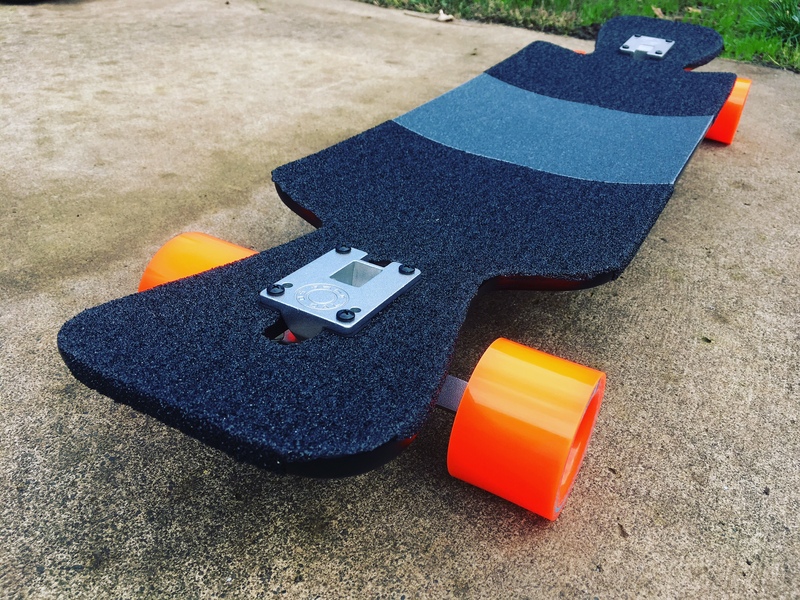 With the lowered platform created by the drop-through and rocker combo, this lightweight board is perfect for LDP as well. This makes it of our most diverse designs that’s able to do it all. 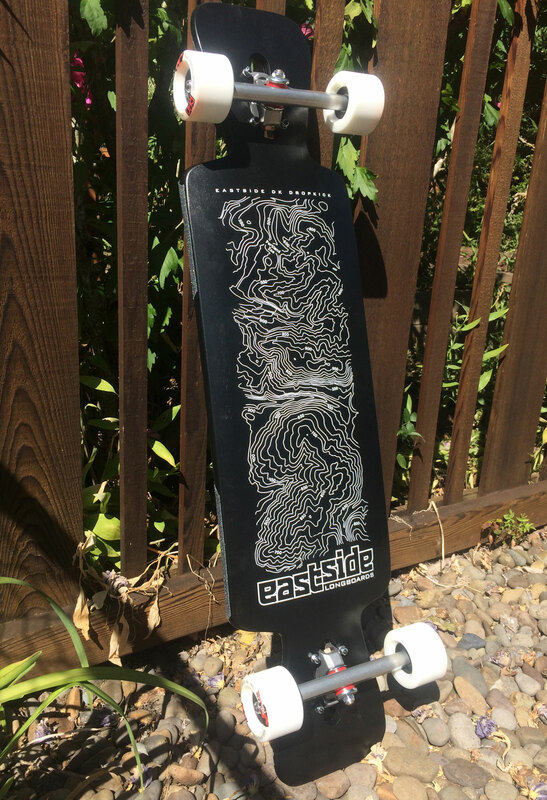 We highly recommend it for the beginner rider or anyone seeking an agile yet stable freeride deck with really useful kicks. 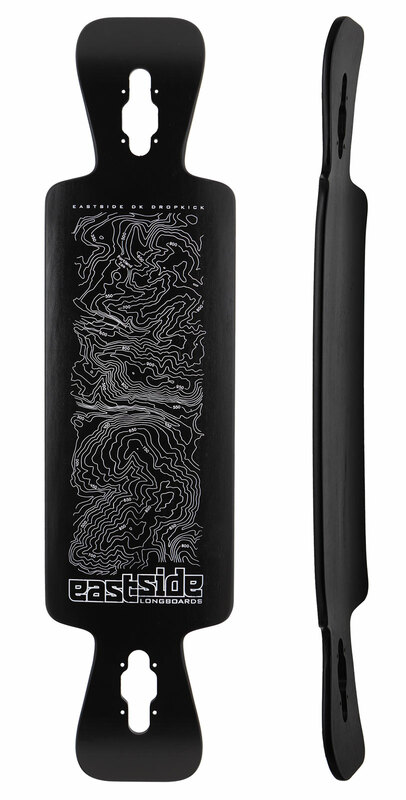 Constructed of the highest quality 8 ply maple with a matte black finish and a silk screened graphic of a topographical map featuring the surrounding hills of the Portland Zoo Bomb run. Recommended wheels: 65-75mm, fits up to 80mm wheels like the Orangatang Kegels. 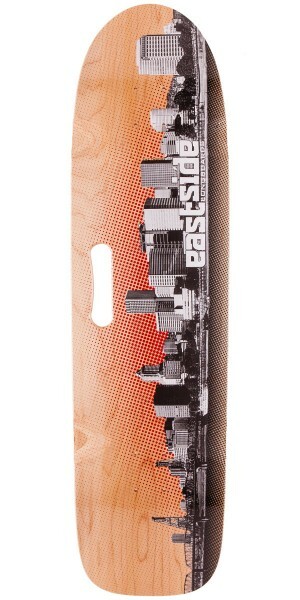 Recommended trucks: 10″ Reverse Kingpin longboard trucks like Caliber 50 degree, Paris, Bear, and Randals. Concave: 5/8” radial with 3/4″ rocker, foot flairs, and mellow “W”. Symmetrical shape with drop-through mounting and double kicks. 8-ply maple construction and matte black finish. Silk Screen graphic of Portland Zoo hills. Stiff for riders 200 lbs and below.